I've started the PTR News thread and I think we need one general thread for all the other news, too. So here I'll post any official news I can find. Credit again goes mostly to Fido. Gotta give that guy a beer sometime. I'll start with the most recent ones, but let it be known that there are tons of ban reports with 4k+ bans every week. 2013-05-13 11:00 | 조회 1441 안녕하세요. 5월 13일 불법 프로그램 제재 현황을 안내 드립니다. Carry customers can not respond to say embarrassing listening unsavory incident has caused any inconvenience to our customers deep. We are sorry, mouth feel to say that there is no one to open. The user can see this work, visit the company received a large wound, your worried mind, observe the situation and sincerely apologize for those. I for some decisive action to prevent a recurrence of this incident, in order to proceed. First personnel will take steps to respect the chain of command, personnel and business related department heads, as well as the staff. It will also improve the overall customer response across the board, to complement. Of course, more than anyone, I think the biggest guy in this case myself. We will reflect this in mind, such as Tai Heavy carving engraved. Once again to do the painstaking efforts one step one step closer to our customers. To take this opportunity to solemnly promise. Probably watching with a sad heart and your pain suffered this work will once again deeply apologize to our guests. -- Our admins and mods should take that "thing" as main avatar. Mods will keep the green original, admin should make it red. YES, hahaha that would be awesome.. TITAN ARCHEAGE ADMIN MONSTER! 2013-05-20 11:00 | 조회 1071 안녕하세요. 5월 20일 불법 프로그램 제재 현황을 안내 드립니다. Homecoming events gratitude is extended as follows. More your type of service where you can enjoy ArcheAge willingly. We will give detailed guidance for the new service in mid-June. The Homecoming event also enjoy the fun. Sent to ArcheAge your mind deeply engraved. I hope to be loved for a long time in ArcheAge. This looks like the storm before a transition to F2P model. I still hope there is not a transition to F2P, but with Trion's Rift going F2P it really would not surprise me if AA goes F2P too. In other news, the test server patch is applied. That means BGs, Race Car and new mounts. Once I have more detailed infos on them I will translate & post them. In the meantime, have fun with Aion errr ArcheAge. The 10-player-raid has been cleaned. Thanks to Fido for the link! The 5th boss and the last boss are the hardest ones. Those seem to be REALLY hard, but the guild that beat it want it even more hard(the comments suggest that its too hard already ). Melees seem to be useless (again) and the gear you get is on T2 niveau. That means crafted gear is STILL better, contrary to what people said before. It's not the same as T2 crafted gear though, it has different set boni. - Combo points/Bloodthirst can only stack up 20 times. Before: 40 times. - Duration of knockdown now: 2.5 seconds. Before: depending on weapon type up to 3 seconds. - Chance of combopoints now 100% if hit. The battlegrounds is now open from 4p.m. to 10p.m. ingame time. The battleground is made for 5vs5 so it feels more like an Arena than an actual battelground. One match lasts 15 minutes and requires Lv40. You get points for for kills. A kill gives you 3 points, an assist only 1. Crafting gets easier - at least for those who mastered their profession. You now find options in the crafting tab where you can craft multiple stacks of common materials(stone, wood, iron) at once to save time. This way you don't get bonus XP from your skill though. Four additional colors for your t-shirt and longsleeves(new!) designs were added, making for a total of 7. The new race car is required for a new title which gives +3 agility. Players above (or on) lvl47 will now be able to do a timed quest on Loka's Checkers. You have 1:30 minutes to get from checkpoint to checkpoint without getting hindered by monsters or players. If you bring your friends to aid you, don't forget that more weight means a more sluggish behaviour of the car! With the composer we will have 21 professions and players already have the chance to practice until the real benefits and crafts will be added to the live server. Depending on the skill the length of a title is now 200-400-600-800-1000 instead of 50-100-300-500-1000. 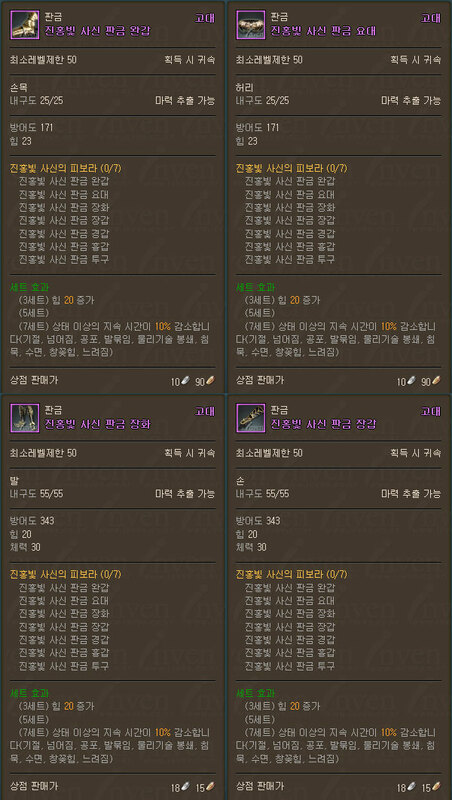 You can get the required music sheets from the inscription vendor. You can edit the composition via a comfortable editor! 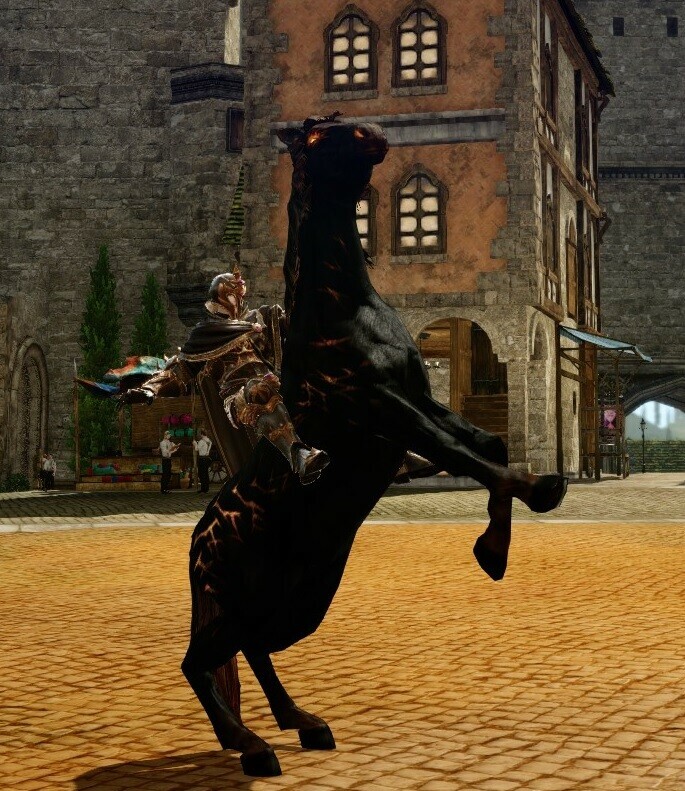 We already have the PvP Mount Evo 2 and now XLGames added the PvE equivalent as well! You can get the approriate quest at the zoo on Mirage Island. You don't need Lifescore-Points, like it's PvP equivalent "Rolling Thunder", but the 30 Silver Tear Coins-Mount on Lv50 and 500 gold - simple as that! The internal auction house structure changed and the implementation of different servers is now more flexible. The UI was updated and there are new handy functions. The killstreak quests now give you not only bonus XP, but also bonus honor, potions and even equipment! Note: The cloak gives 20% bonus XP! Finally some skill balancing news, thanks KeksX and Fido for your contribution . I don't have a source for this right now, but the peacetime on liberty island is gone. Schedule: 1 hr war, 5 minutes war preperation. Note by Fido: There might be peace time when there's too much killing going on. But we don't know. New schedule is 80 minutes war and 5 minutes preparation. I think there is no peace time anymore. Can you explain what liberty island is fido? Middle island between all 3 continents within the sea. You can sell your trade packages there and make the most profit there. Usually the pirates control it! With the peace time introtuced, Pirate lost a lot of control over it and now they got it back. What do you mean by control as in like they physically own the island or players just camp it permanently and harass players. The pirates to "rolepay" on the island (camp in other words). Not safe, you need protection! I wouldn't really be surprised if they added a safe zone timer to the pirate island too by the time it gets to west. It would make sense period to have a brief safe time on the island. like the island is safe for 15 minutes once every hour or every other hour. Pirates would still be happy because then youd be able to blockade anyone trying to make it in time.